Whipped cream lovers, rejoice! If you can’t get enough of the sweet stuff, I’ve got an awesome recipe you are going to love: Homemade Whipped Cream. It tastes every bit as good as the stuff in the tub, but it’s a lot healthier for you. Plus, it’s super fun to make! If you don’t know how to make Homemade Whipped Cream, don’t worry. It is super easy, and it only requires two very common ingredients: sugar and heavy whipping cream. You may even have these in your kitchen right now. I do. 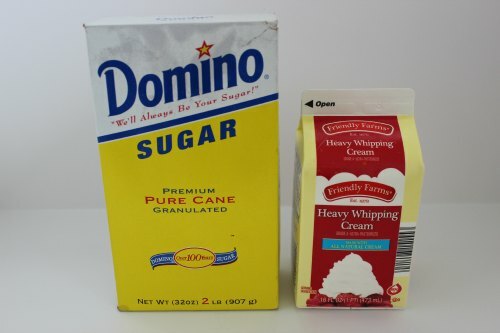 All you do is make sure the ingredients are nice and cold, and then whisk them until the cream starts to form stiff peaks. Easy, right? So why would you want to learn how to make whipped cream yourself when you could just buy it at the store? I’ll give you three good reasons. First of all, if you ever run out of whipped cream or forget to buy it, you’ve got a back-up. Secondly, it’s much healthier and cheaper, which is always a plus. And finally, if someone in your house likes to eat it out of the tub (no naming names! ), then you can make just as much as you need at a time and remove the temptation. 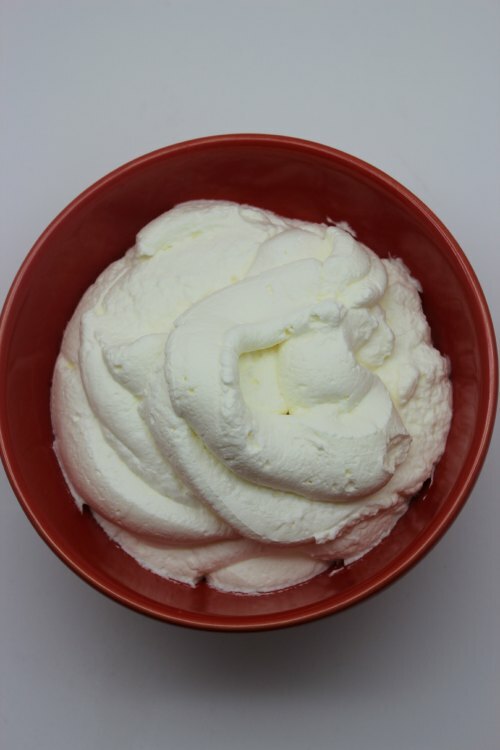 Even if you are loyal to your favorite brand of store-bought whipped cream, it is definitely worth your time to learn how to make whipped cream just in case you ever need a quick whipped cream fix. 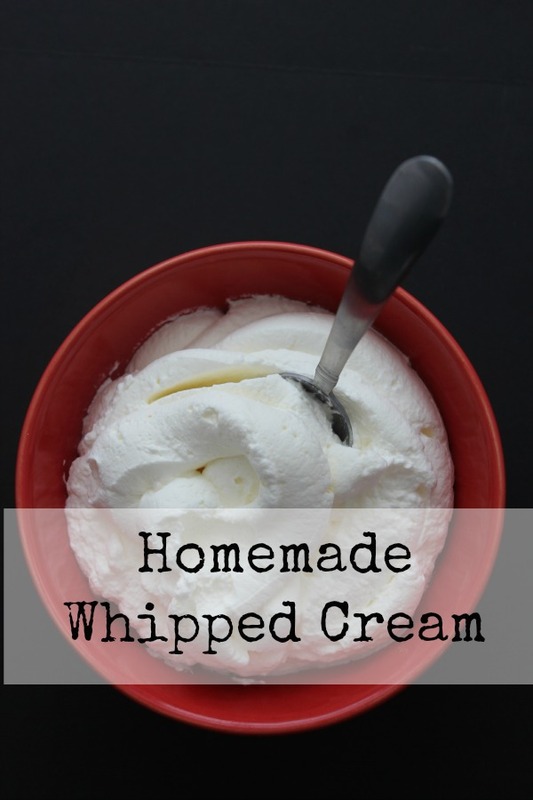 And this Homemade Whipped Cream recipe is the perfect easy and yummy recipe to try!